The days are longer, the snow is softer, the air is warmer and the festivals are myriad. Just a few weeks ago, in the depths of subzero temperatures, I used this space to cover tips and tricks for tackling the ski slopes during extreme cold. Now, days away from the start of spring, we’re looking at warming temperatures and only about six remaining weeks of (lift-serviced) skiing. 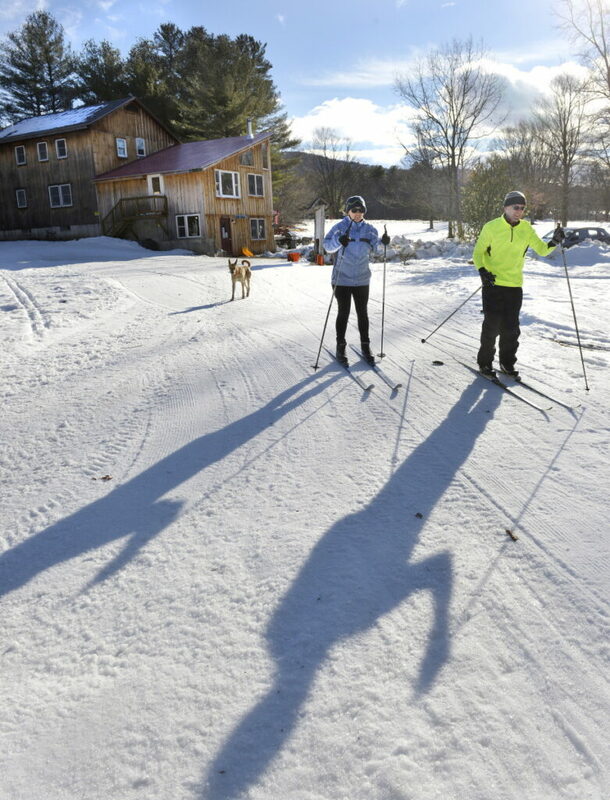 With the best snowpack in decades on Maine’s mountains, it’s likely those ambitious enough to hike will extend the season toward June, but most of us are looking at a shrinking window of viable ski days. Although the remaining time is short, it sure is sweet. Days are longer, snow is softer and it’s possible to ski with fewer than five layers covering your skin. And as the less die-hard skiers retire to their catamarans and golf clubs, the slopes open for the true believers. Gear, tickets and lodging also get dirt cheap, with resorts trying to fill rooms and lifts, and retailers looking to clear out inventory. In many ways, spring is the reward to skiers for suffering through the cold indignity of winter. New England tends to have a later season than western states, with most Maine resorts running at least through a good chunk of April. While some smaller areas will close at the end of March, and others will reduce both midweek operation and open terrain as the season winds down, we’re pretty much guaranteed a season that runs through the end of April with lift service – particularly since Sunday River will put its traditional cap on the season with Ski Mania, a free day of lift-serviced skiing, on April 23. Skiing in spring is a different sport than in the mid-winter, and it’s worth adjusting your expectations going into a late-season ski day to get the most of it. With freezing nights and warm days, conditions vary wildly, often with frozen hardpack in the morning and sloppy slush by the time the last chair rolls around. Even if you, like me, aim for getting first chair, it’s worth considering an extra coffee and a late start now that the clocks have sprung forward. Trust me, you won’t miss the time spent on boilerplate groomer tracks. It’s also more important than ever to hydrate (with water, not alcohol), and dress in layers to moderate your temperature, as warm weather and exercise make skiing a sweatier, more exhausting sport than usual. And from painful experience, I’ll remind you to wear sunscreen. More sunscreen than you think you’ll need. All the sunscreen. The sun is coming down and also bouncing up off the snow, and there’s a thin line between a rockin’ goggle tan and some serious sun damage. Next weekend, Bridgton’s Shawnee Peak kicks off spring with its 35th annual Spring Fling on March 23. The centerpiece of the fling, as is the case at many late-season celebrations, is a pond-skimming competition – the “Slush Cup” – that kicks off at 1:30 p.m. The following Sunday, March 31, Auburn’s Lost Valley follows with its Beach Bash, where a family fun race, limbo and ollie contest, cardboard box race and a dummy air contest will all precede pond-skimming. And then the biggies of the pond-skimming competitions kick off at Sunday River and Sugarloaf in April, with the Pond-A-Palooza on April 13 and the East Coast Pond-Skimming Championships on April 20. April also sees the arrival of the outdoor and music festivals of the late season. 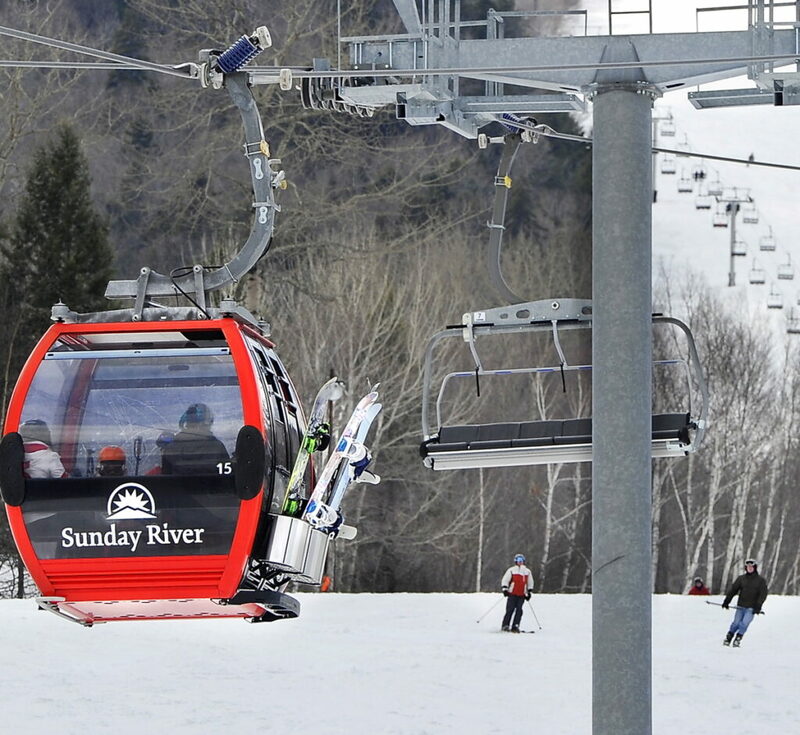 A few years ago, Sunday River rebranded its Jimmy Buffet-worshipping Parrothead Festival as the Spring Fest weekend, and it returns on April 6 and 7. As in the past, it’s a celebration of spring, warm weather, parties and margaritas. On the 6th, the bands Miss Fairchild, West End Blend and Armies will play free concerts at the White Cap base area throughout the day. The sexennial Slip ‘n’ Flip relay is also scheduled for April 6, a tournament of kings that combines a slip-and-slide and the classic drinking game of Flip Cup (with water as the libation, it’s worth noting). On the 7th, free concerts continue outside the White Cap lodge. The next weekend, Sugarloaf hosts the biggest party in the Northeast: the annual four-day Reggae Fest. From April 11-14, reggae bands from near and far play over a dozen sets in the Widowmaker Lounge, the King Pine Room (the big concert space in the base lodge), outside the base lodge, and up at the mid-mountain restaurant Bullwinkles. Fortunate Youth, Mighty Mystic and The Hard Roots Movement headline the festival this year, but 10 bands are playing total. As in the past, the outdoor shows are free, and prices for indoor shows range from a $20 one-night pass to an all-inclusive $100 VIP ticket.